Photo Courtesy of Whipped Cream and Gene Schiavone. I have followed Mark Ryden’s work since I was in middle school; the innocent and soft paintings, which lingered with a darker presence, always drew me in. 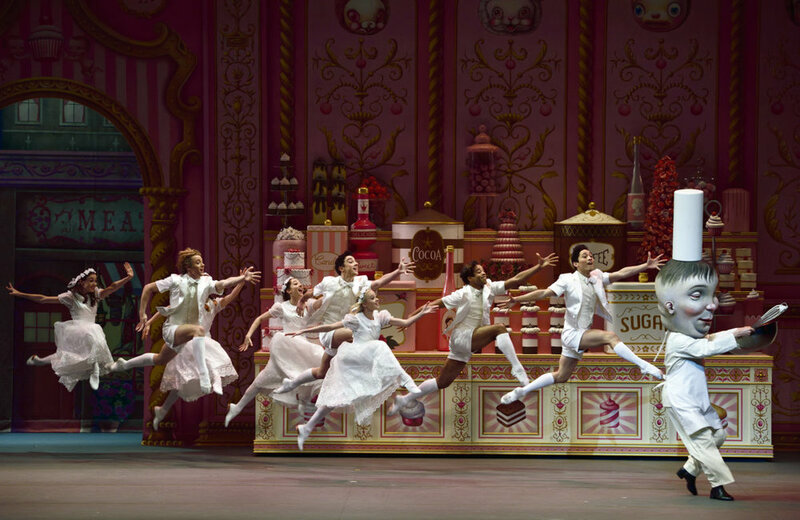 So naturally, I was ecstatic when I found that Ryden would be providing his skills towards the set and costume design for a new show being directed by Alexei Ratmansky: a ballet known as Whipped Cream. Its original debut was in 1924 at the Vienna Straatsoper. It was then that it was originally nicknamed the “billionaire’s ballet” which was due to the elaborate set and costume design. This still holds true today, thanks to the talents of Ryden. Except for some scenes with a drunken doctor, every second of Whipped Cream is filled with sugarcoated dreamlands and whimsical creations. I adored every inch of each handmade backdrop, costume, and prop. Ryden even left as many of his signature motifs in as many nooks and crannies as he could. Some of the dancers were garnished with heads that appeared to be larger than life, creating a feat that seemed next to impossible for a ballet dancer; however, theater magic still holds true even in these regards. The ballet follows a young boy who eats too much cream, becomes ill and then escapes from an evil doctor to a land of make believe and sugar. Which is definitely a plot that does not hold much substantial mass or deeper meaning and this is due to the original composer, Richard Strauss, wanting to create joy in order to avoid contemporary tragedies. Which is incredibly endearing at first glance, but without Ryden’s impeccable work I feel that the ballet would have definitely fell short.